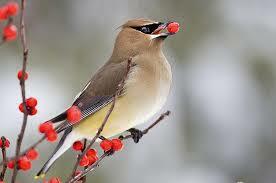 Cedar Waxwing - they often pass the berries back and forth, sharing with each other. 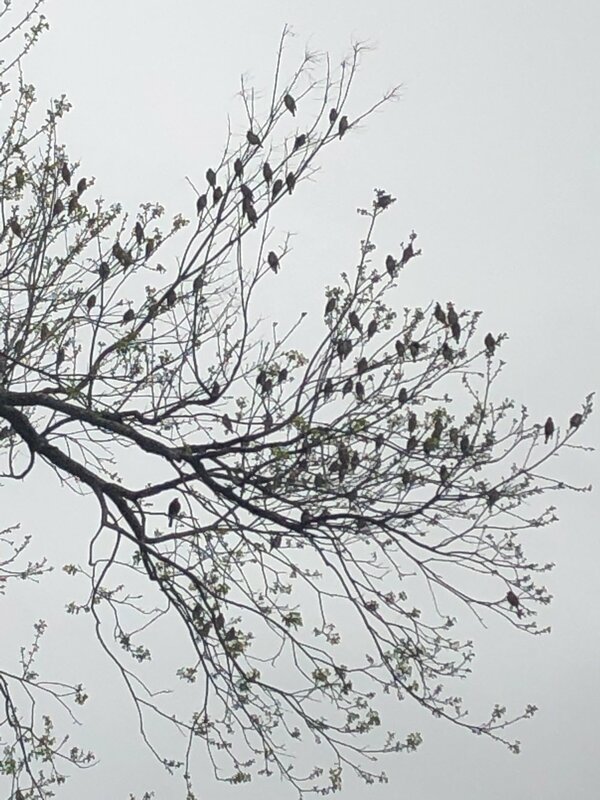 About 75-100 Cedar Waxwings flew into the garden this week, attracted by the berries on the trees we planted a few years ago. 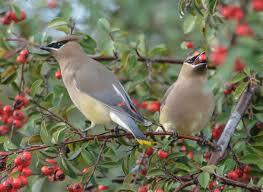 Cedar Waxwings are beautiful, sociable beings, flying together and nesting together. The group flew rapidly around, dining on berries, and then rested for awhile in the pecan tree. They move around throughout the year, but this is the first time we’ve had enough berries on the trees to attract so many individuals. Very pleasing! Resting in the pecan tree — this is less than 1/4 of the flock. The rest were in other parts of the tree, and in other trees.